TekFire Fuel-Free Lighter | BUDK.com - Knives & Swords At The Lowest Prices! 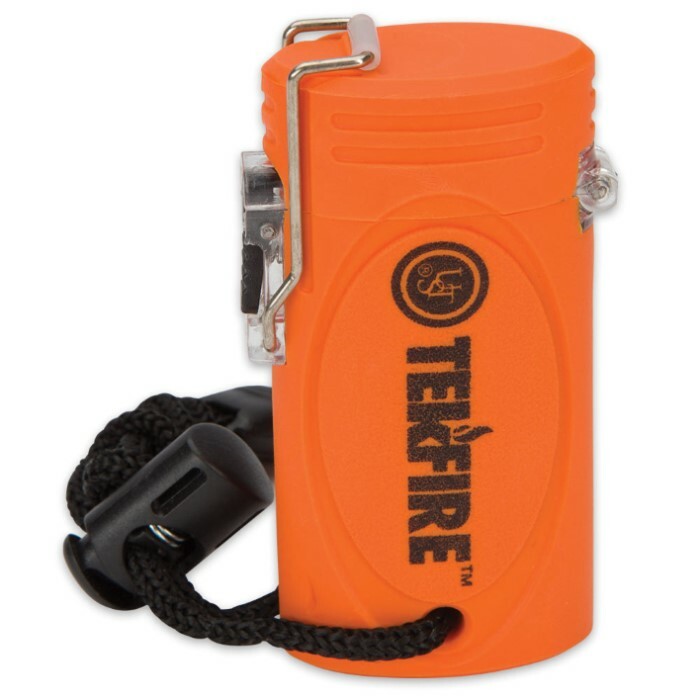 The lightweight, compact TekFire Fuel-Free Lighter allows for quick and easy fire starting. It is windproof, flameless, electronic and requires no butane fuel or adjustments for altitude. The built-in rechargeable lithium-ion battery assures you a dependable fire source every time and it features a 10 second time-out safety feature. The lighter comes with a USB cord for easy recharging from any USB port and a red indicator light lets you know when it’s fully charged. 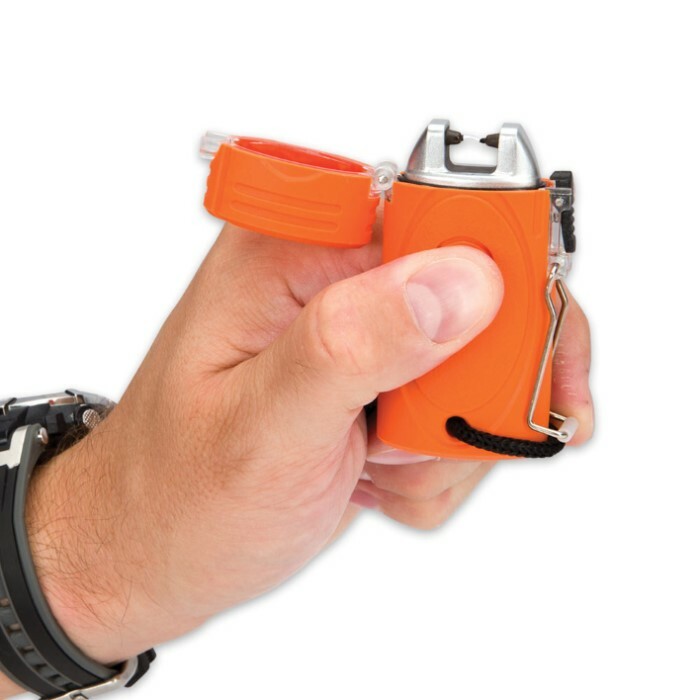 Give up those annoying matches and that so-so butane lighter! 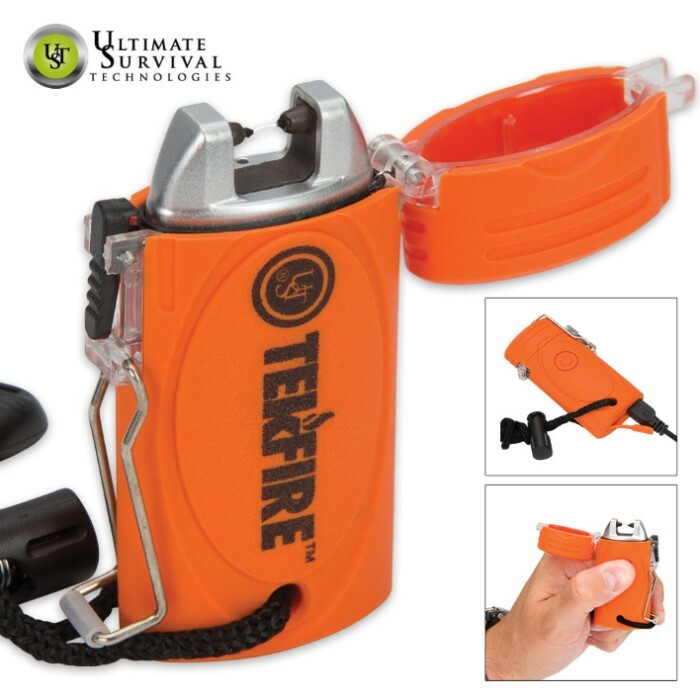 The TekFire Fuel-Free Lighter is all you need!